Isabella d'Este with the famous Capigliari headdress. Home » Isabella d’Este with the famous Capigliari headdress. Isabella d’Este with the famous Capigliari headdress. Portrait of Isabella d’Este with the famous Capigliari headdress. Fragment (left and right cut). Above: Portrait of Isabella d’Este in her sixties, by Titian. Originally, Titian painted between 1534 and 1536 a more aged Isabella, but she was so displeased with it that she made him repaint it so that she appeared forty years younger. 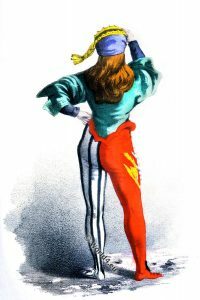 The picture based on a sketch after a preparatory drawing that probably Lorenzo Costa had made after an oral description of her half-sister – without model session. Isabella d’Este 1474 – 1539. Italian Renaissance. Isabella d’Este was one of the most important people in the culture and politics of the Italian Renaissance. Among contemporaries she was regarded as “La donna del mondo prima”. Isabella d’Este was the daughter of Ercole I d’Este, Duke of Ferrara, and Leonora of Naples, the daughter of King Ferdinand I of Naples. Antonio Tebaldeo was her tutor. Portrait of Isabella d’Este. After a Ruben’s copy of Titian’s Isabella in Red. The created perfumes or perfume bracelets by Isabella were estimated presents under the Renaissance princesses and queens. In greater degree she was in vogue even beyond Italy as a role model. Lucrezia Borgia was informed about the newest creations of Isabella, the French King Louis XII. and Francis I called Isabella their wives each a fashionable model, but that was hard to beat. As a role model Isabella d ‘Este was also considered as a creator of special head costumes. 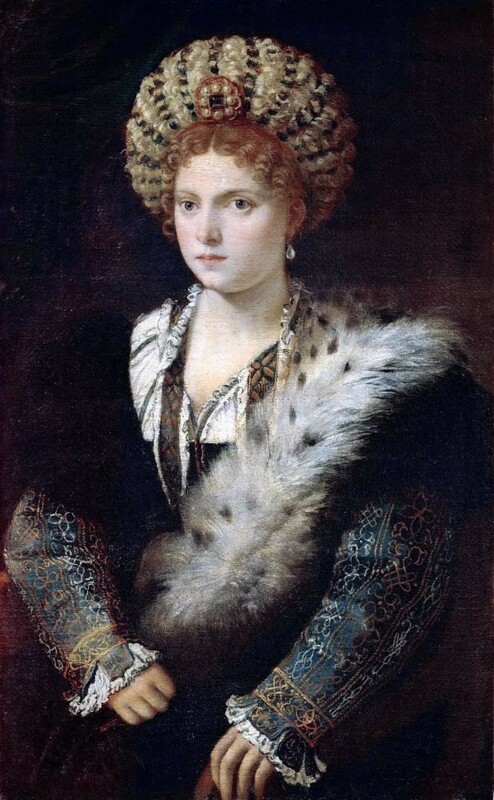 Her “Capigliari”, a headdress in the shape of a ribs pumpkin, consisted from hair, precious fabrics and jewels, as shown in the portrait by Titian, was copied for years throughout Italy. German Lansquenet. 16th century military. Medieval Bourgeois of Paris and her maid. 15th century costumes. Maid of honor in the entourage of the queen Clothilde. French Fashion History 1270 - 1350. The Crusaders. Medieval Byzantine costumes 6th Century. Courtly fantasy scene by Mary Young Hunter. Les Modes du Moyen Age de l’an 1037 à l’an 1461. Medieval fashion history in Germany. 11th to 13th century. Medieval Caps and Hoods fashion. 11th to 15th century. The Reticulated Headdress. Headdresses history, 15th century. Medieval shoes 10th to 15th century. Costumes and Fashion during the 15th century. The Romance of the Rose. The Art of courtly love. 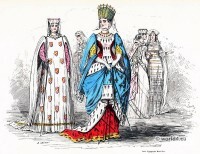 Margaret of Anjou Queen of Henry VI. and her court. The Limerick Mitre. 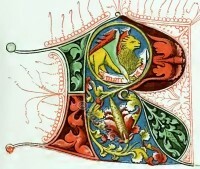 Dresses and Decorations of the Middle Ages. The Crusades. The Knights Templar. The Crusaders in the 12th and 13 Century. The principality of Antioch. The crusades. Map of Syria. Historical Maps and places. Troubadour and page in the 13th century. Costumes and Fashion from ancient times until 19th century. Gallery. 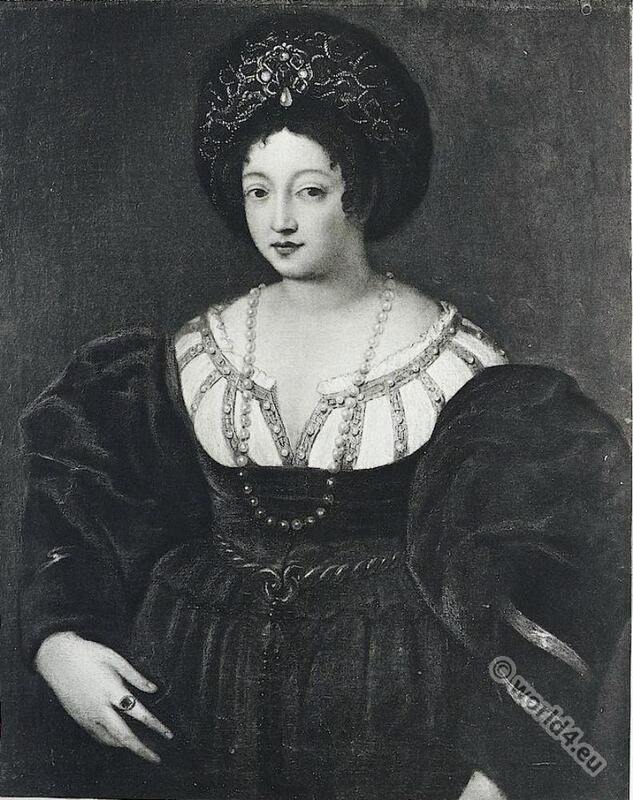 Gabrielle d’Estrées, mistress of the French King Henry IV. Renaissance fashion era. The Hennin. Headdresses of the 15th century. The Romance of the Rose. 15th century courtly love poem. Christine de Pizan and Queen Isabeau of Bavaria. Pyrrhus Receiving the Honor of Knighthood. This entry was posted in 1530, 16th Century, Hat, Headdresses, Italy, Nobility, Renaissance and tagged Portrait, Renaissance fashion era on 9/17/15 by world4.